Pause, Suspend, Shelve and Shut Off Instance. What’s the difference? See Stopping a compute instance for the differences between the methods of halting a compute instance. For lowering costs and long term preservation of compute instances, Shelve Instance is the recommended option. It is important to be aware that the Shelve Instance action will only help to lower the monthly costs associated with your cloud project. The act of shelving an instance creates a snapshot of the running instance which it stores as an image on block storage, meaning you now have an extra volume associated with your project. Once this has been done, it stops the instance and schedules it to be removed from memory. The cost saving when shelving instances is due to the fact that you are no longer paying for the compute services that a running instance uses. Instead, you are now only paying the much cheaper cost of storing a snapshot of your image on disk. To illustrate this, let’s say you had a simple 1 vCPU 1Gb RAM instance with a 10GB disk running 24/7 for an entire month, which we will assume is 730 hours as an average. so it would definitely make sense to shelve instances you don’t need to run fulltime. 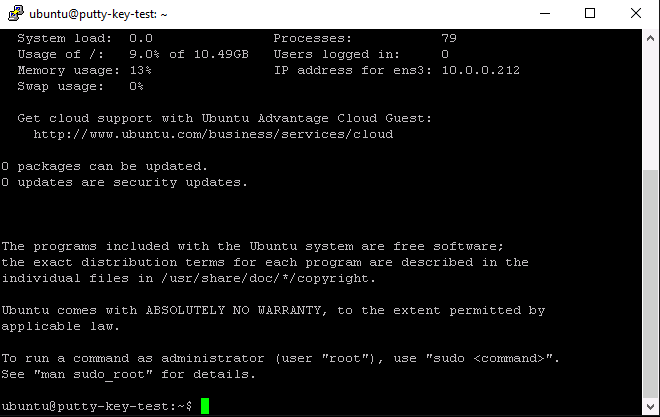 When launching an Ubuntu compute instance using the images provided by Canonical, we recommend you configure the locale using cloud-init. The example below illustrates how the locale can be defined at boot time using the cloud-config syntax. These errors can occur while installing packages or performing simple tasks on the operating system. If you have not defined the locale at boot time, you can still configure it later using the following procedure. Use the commands below to configure and generate your locales. Replace en_US.UTF-8 with your desired locale. 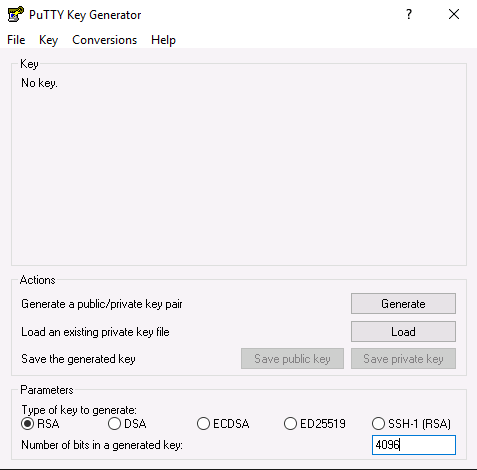 This is intended as a quick guide for Windows users on how to create SSH keys and connect via SSH to Linux instances using PuTTY and PuTTYgen. 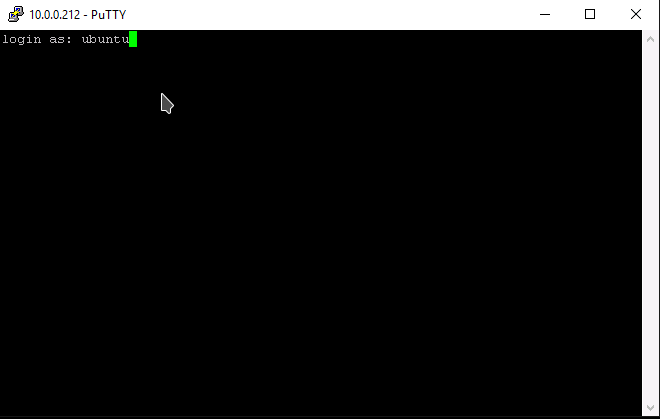 PuTTY is an open source SSH client, developed originally by Simon Tatham for the Windows platform. This guide assumes that you have downloaded and installed the latest msi package which can be found here. 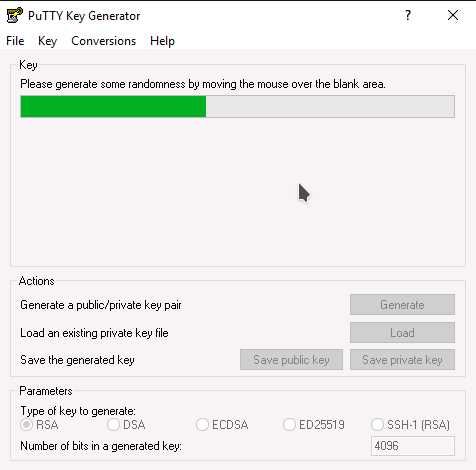 Once the package has been installed you should have access to 2 new applications, PuTTY which is the SSH client and PuTTygen which is the SSH key management tool. 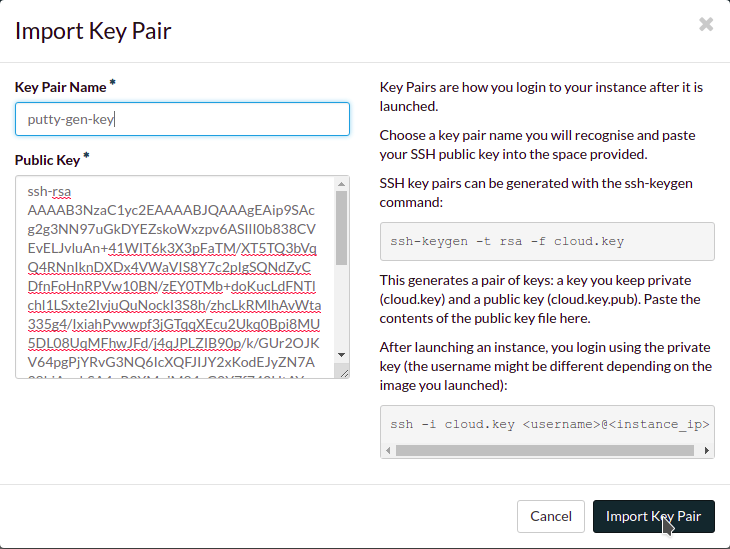 Once you have successfully created your SSH key you need to import the public portion into your cloud project. First highlight and copy ALL of the text in the Public key for pasting dialogue box. Ensure you scroll to the bottom to get everything. 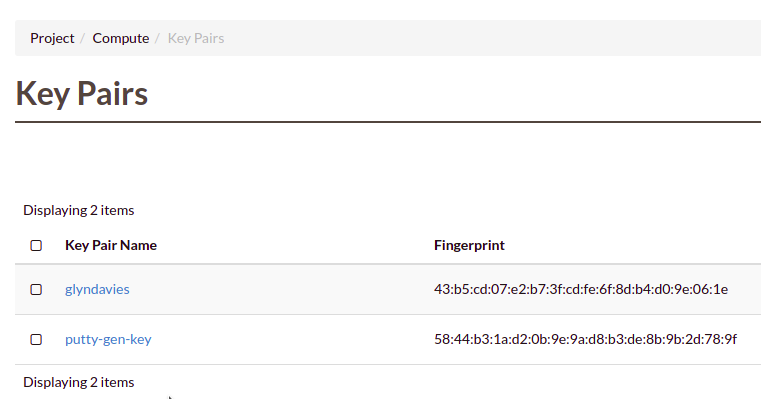 Once the key has been imported confirm that the fingerprint matches the one shown in PuTTYgen. Once you have the new key in place in your cloud project you can launch a new instance providing this as the keypair for authentication. For the purpose of this example we will assume that the new instance is running Ubuntu. Open PuTTY and navigate to Connection -> SSH -> Auth in the Category panel. Configure the settings as shown below, any existing settings can be left as they are. Private key file for authentication : enter the location of the private key that was saved in PuTTYgen earlier. In the Category panel switch to the session screen and enter the floating IP address of the cloud instance you wish to connect to and click Open. In the terminal seesion that appears enter the default username for the OS that you have deployed. As we have assumed that we are running an Ubuntu instance our username will be ubuntu. You will then be prompted to supply the passphrase that was used when creating the SSH key in PuTTYgen. If this is the first time that you have connected to this server you will also be asked to accept the servers host key. Say Yes to this. You should now be logged successfully into your instance.